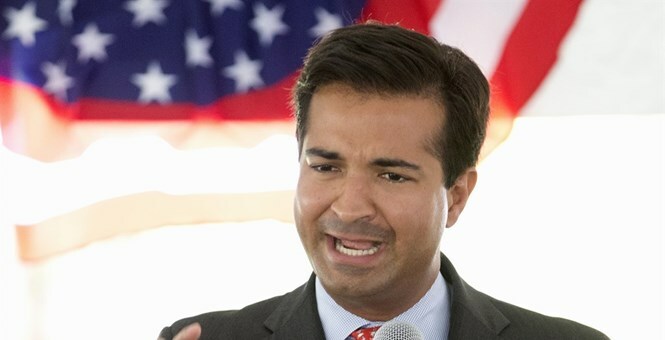 The all-Democratic Congressional Hispanic Caucus (CHC) denied Rep. Carlos Curbelo’s (R-FL) bid for membership Thursday, claiming that Curbelo’s record is “not consistent” with their values. Curbelo reportedly caused dispute among members of the CHC by having yet to sign on to the Dream Act. According to Politico, CHC members also said their decision was affected by a private argument between Curbelo and CHC Chairwoman Michelle Lujan Grisham (D-N.M.), in which he accused her and the caucus of discriminating against him. Curbelo issued a statement Thursday both in English and Spanish asking why the CHC wants to "build a wall" regarding his exclusion from the group.